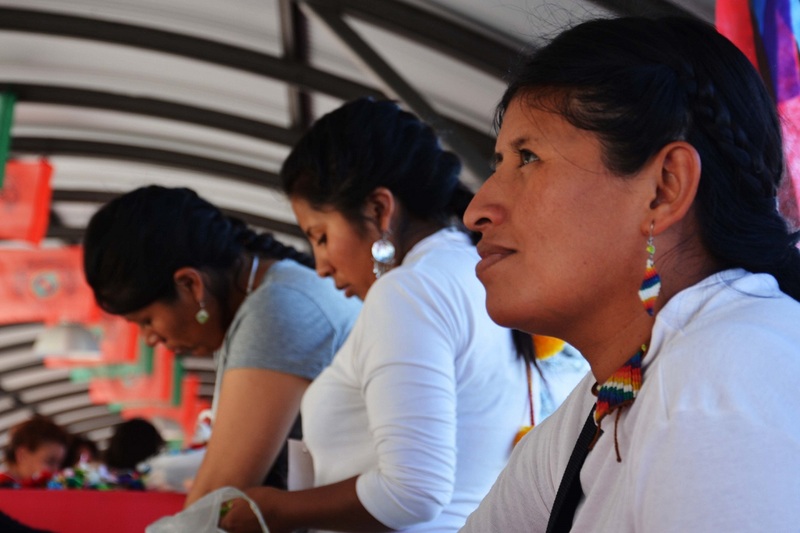 A delegation of indigenous women from the town of Omaguaca, in Argentina’s Jujuy province attended the V Women’s Assembly. 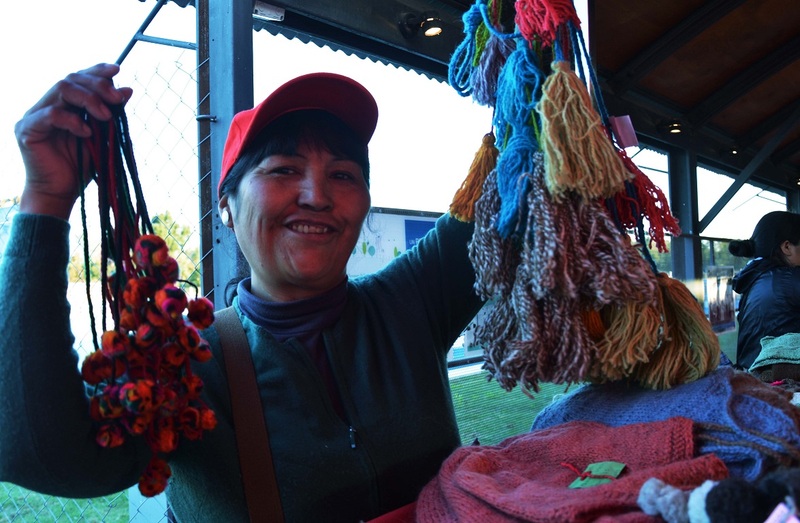 They also brought their native artisanal and agroecological products to the fair held in the same event venue. 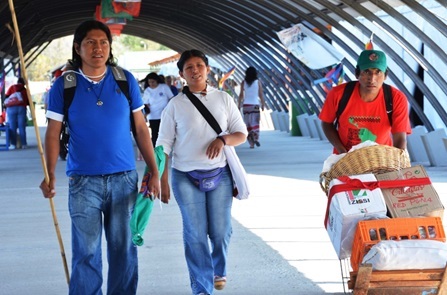 While sharing in the struggle against capitalism that dispossesses people from their territories and commodifies natural resources with the greater peasant movement, these women say that their indigenous vision has yet to be fully incorporated into the guidelines of CLOC-Vía Campesina. The feminist proposal that came out of the congress provides an example, where delegates brought competing concepts of gender relations to the table. Conscious of its diversity, CLOC sees this difference as a challenge that must be addressed. This village’s agricultural production is non-intensive, and a form of self-sufficiency for its people. 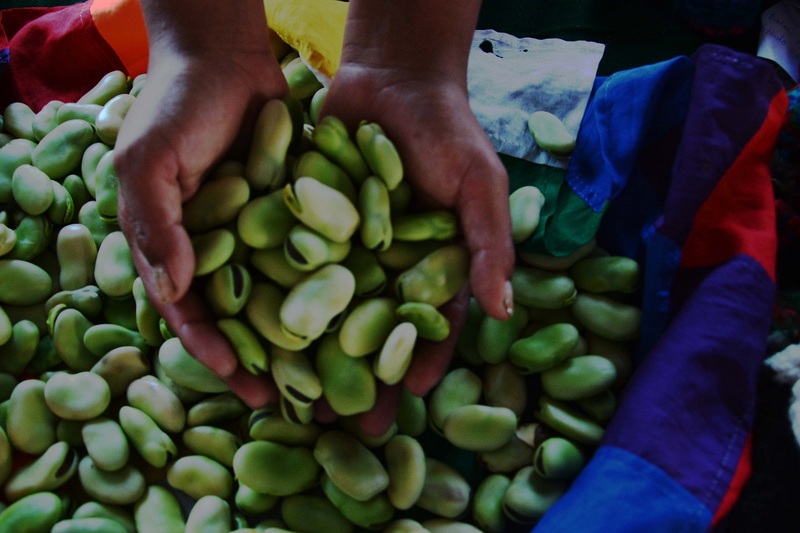 Little by little, market demands for these agroecological products has risen. The people of Omaguaca are careful not to fall into the agribusiness trap, favoring small-scale producers. But the opencast mining extractive industry currently threatens the village’s production and endangers its residents through heavy pollution. The absence of public policies to defend territorial autonomy of indigenous communities causes even more vulnerability. Arts and crafts are passed down through ancestral knowledge, and carried out by women. 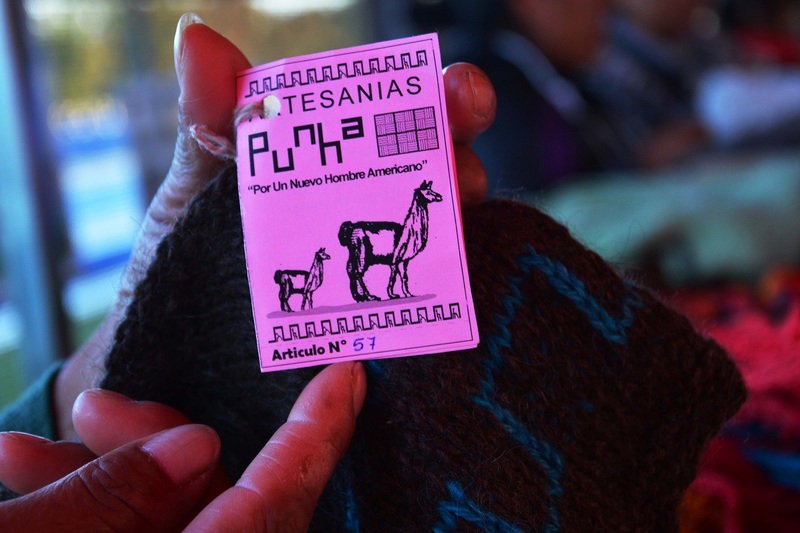 These practices respect mother earth and natural processes—llama and sheep wool are colored with organic dyes. Coverage made possible thanks to testimonials from Mercedes Maidana, María Cruz, Eva Días and Tomasa Chuichuy.